When I am writing this post, it is 12:40 pm, November 7, 2014 in New York. ECB introductory statement by the ECB governor was released at 8:30 am, November 6, 2014. I am writing this post to explore the currency pairs affected by the fundamental of EUR. In the statement, ECB governor said "We last month started purchasing covered bonds under our new programme. We will also soon start to purchase asset-backed securities." This line is the key that forced the EUR/USD to create a strong bearish trend. 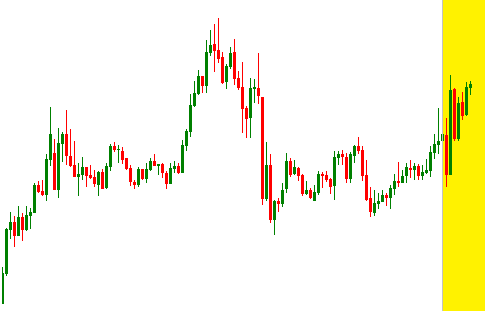 To most of the traders who do news trading know the reason why EUR/USD has went down by more than 100 pips. The reason is that the traders thought that the ECB will start purchasing asset-backed securities in the current month because the inflation rate in Euro Zone is below the targeted level. The question is why do some other currencies are affected by this statement? Many newbie forex traders do not know why some other currency pairs were also affected by the ECB statement. By this fundamental news, AUD/USD also went down several pips. 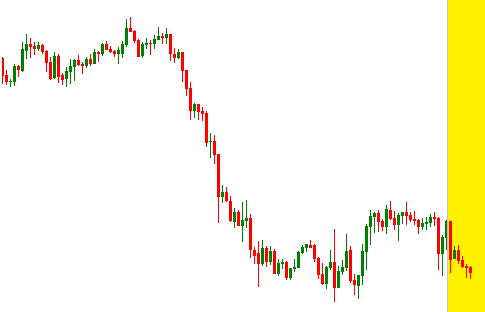 We can see the AUD/USD chart in the image below. Not only AUD/USD but also USD/CAD currency pair was affected by the ECB statement. The USD/CAD went up by several pips after the statement was released. This is because the CAD was affected by the poor fundamental news of EUR. The USD/CAD 30m chart is presented below. The other affected currency pairs were NZD/USD, GBP/USD, USD/CHF and EUR/JPY. 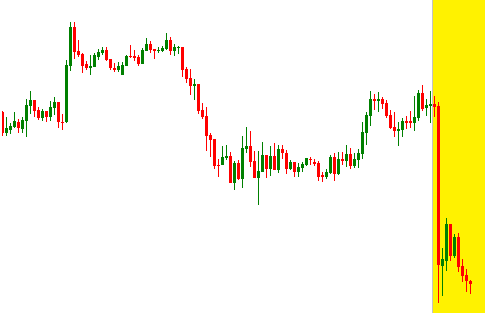 The fundamental news of EUR can affect the AUD, NZD, CAD, GBP and CHF etc. Actually, fundamental or economic news of EUR put weight on these currencies and affect their pairs. The major reason behind this is the correlation between the currency pairs, and the correlation between currency pairs is resulted by the international trade and partnership. The currency pairs that are supposed to be affected by the economic news of EUR can be found, calculating the correlation of the currency pairs with EUR/USD. All positively and negatively correlated currency pairs can be affected. Dear traders, hope this post will guide you to trade forex during Euro Zone economic news releases. It will also help you to make a complete fundamental analysis of the currency pairs that are positively or negatively correlated with EUR/USD. If you have any questions, suggestions or complements, please drop a comment below.